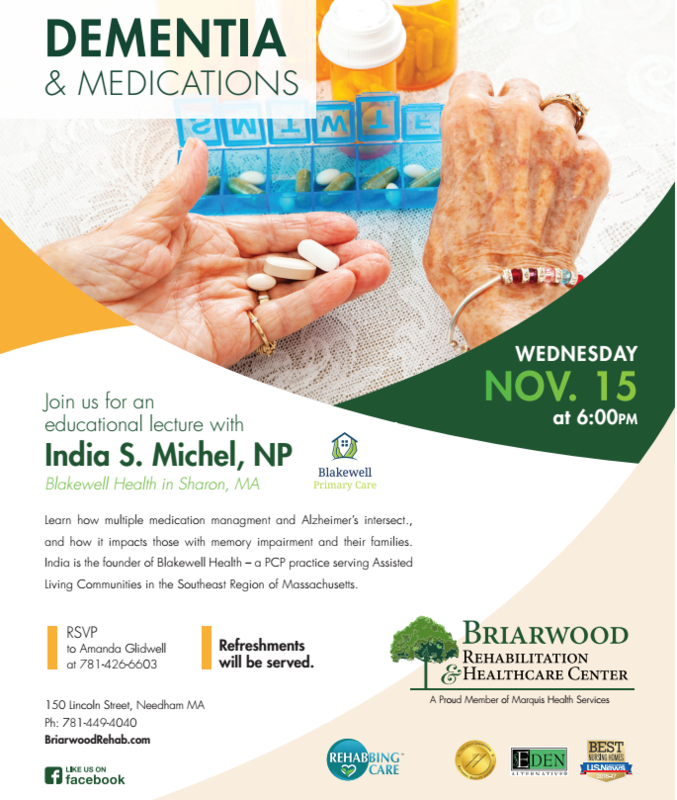 Join us on Wednesday, November 15 at 6:00pm for an educational lecture with India S. Michel, NP from Blakewell Health in Sharon, MA. By attending the lecture you will learn how multiple medication management and Alzheimer’s intersect, and how it impacts those with memory impairment and their families. Refreshments will be served. To RSVP for the lecture please call Amanda Glidwell – (781) 426-6603.